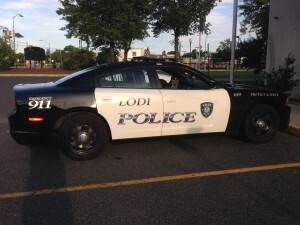 Patrol Division – Lodi Police Department – Bergen County, N.J. 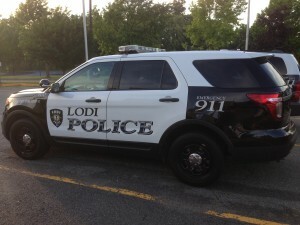 The Lodi Police Department – Patrol Division is the core of the police department and is also the largest of all division in the department. Shown are just two types of vehicles used by the department for various forms of street enforcement and response to calls or service. Over 60% of the police department is assigned to the patrol division and is normally where everyone enters their career and spends time before moving onto other divisions or assignments in the department. Below is a photo of the typical interior equipment of our patrol vehicles. 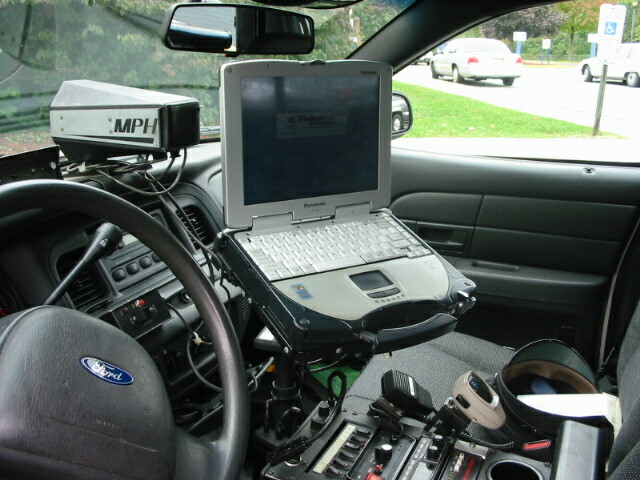 Each officer has a MDT (Mobile Data Terminal) inside the vehicle which allows them to do MV look-ups in the field, complete reports in the field and also is used as a viewing screen for the MVR (Mobile Video Recorder) which you can see is mounted near the windshield by the rearview mirror. The technology available to officers today is well advanced from just 10 years ago and makes their job more efficient and safer. 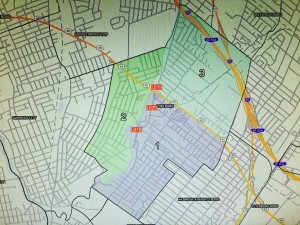 Below is a photo of the GPS/AVL (Global Positioning System/Automatic Vehicle Locator) System screen. This 42′ LCD screen is located in the Communications Center and shows a digital map of the Borough down to street level home addresses as well as satellite image overlays of the town. There is a transmitter (GPS sending device) located in each patrol car that updates every 5 seconds with the position of the patrol car out in the field. If you look at the photo of the map, you can see several colors which divide the town into sectors for patrol responsibility as well as the four small red squares which are patrol vehicles and their location when this photo was taken. This technology is used to more efficiently dispatch our officers when an emergency call requires officers to be dispatched quickly. By using this technology, the dispatcher can, in real time, see where the closest patrol car is to the emergency location and dispatch that car to get there quicker. Additionally, it provides an additional layer of officer safety in the event the officer is down and cannot communicate with the communications center. We can send help to the officer to the location on the screen without him or her having to tell us where they are.